AC Repair Orange CA | DGL Air Conditioning and Heating, Inc.
From winter's chill through the dog days of summer, our primary goal at DGL Air Conditioning and Heating, Inc. is to keep your home comfortable for you and your family. But, that's just the beginning. We also offer you peace of mind, ensuring your equipment operates safely. We help you save money on your fuel bills. And, we help deliver relief to those with allergies and others concerned with the the air they breathe. This site is specifically designed to help you become an informed consumer when it comes to your home's heating and cooling systems. Go ahead, explore. The pull-down menus make it easy. Not only will you learn how these systems work, but also how to shop smart and protect your investment. If you're not sure where to find help with a specific question, try our Search Engine. And, don’t miss the 'Answers and Information' section on our menu to learn about your home's mechanical systems and simple things you can do to save money and get the most from them. You'll find we take our job seriously and value highly the trust that is placed in us. To understand why we go so far beyond what others do by investing in the extra training and equipment we believe necessary to protect your home and family properly, take a moment to view our short 30 second video that best explains "why we do it"...and "why it matters." By doing what it takes to ensure each customer's complete satisfaction, DGL Air Conditioning and Heating, Inc. is welcome in more homes in Orange County, CA than any other contractor. We invite you to give us a call. 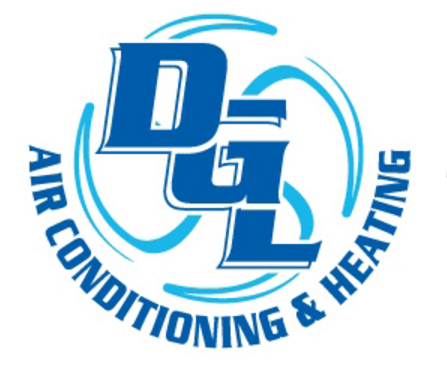 DGL Air Conditioning and Heating, Inc., is a California (CA) Heating, Cooling, Plumbing, Air Conditioning, Geothermal Groundwater, Heat Pump, and Furnace repair, service, replacement and maintenance Company located in Orange County, CA. DGL Air Conditioning and Heating, Inc. will send you only the best technician to fix your problem, air conditioner repair and, gas or propane (LP) furnace and heater repair as well as your air conditioner installation, furnace replacement, and heater installation. DGL Air Conditioning and Heating, Inc. provides emergency service to Buena Park CA, La Palma CA, Cypress CA, La Habra CA, La Mirada CA, Stanton CA, Los Alamitos CA, Irvine CA, Huntington Beach CA, Foothill Ranch CA, Costa Mesa CA, East Irvine CA, Midway City CA, Newport Beach CA, Westminster CA, Aliso Viejo CA, Santa Ana CA, Fountain Valley CA, Tustin CA, Anaheim CA, Atwood CA, Brea CA, Fullerton CA, Garden Grove CA, Orange CA, Villa Park CA, Placentia CA, Yorba Linda. To set-up a repair service or replacement estimate, call (714) 279-9480. So when you ask to find "A good heating, air conditioning and plumbing repair or service company or plumber near me," you've come to the right place. DGL is an authorized factory dealer of many brands and services all furnace, AC, humidifier, filter, thermostat and water heater brands including Carrier, Bryant, Payne, Trane, Lennox, Rheem, Ruud, Amana, Crown, Frigidaire, Bradford White, Gibson, Goodman, Lochinvar, Maytag, Weil McLain, A O Smith, Kohler, American Standard, GeoExcel, General, Aprilaire, TOTO, Appolo, Honeywell, White Rodgers, Dynamic, Slant Fin, Emerson, York and Skuttle.Click for the BBB Business Review of this AC repair in Orange CA.